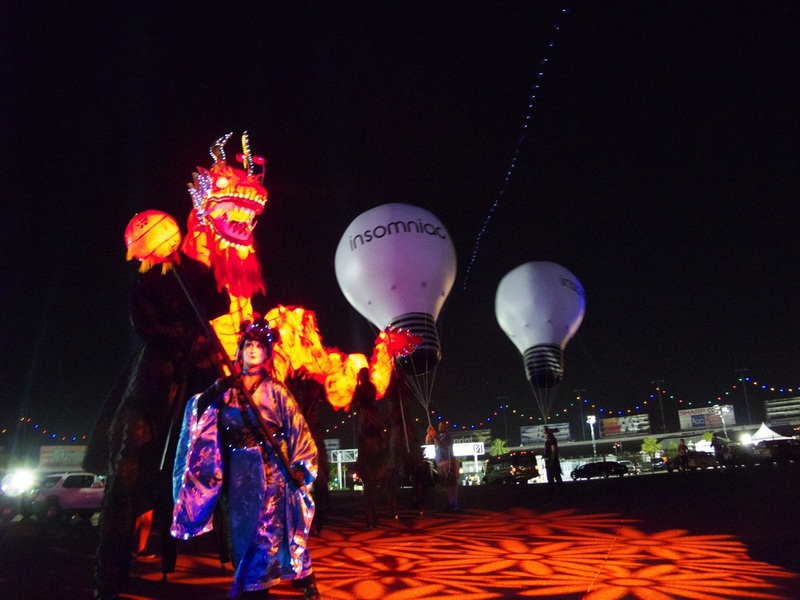 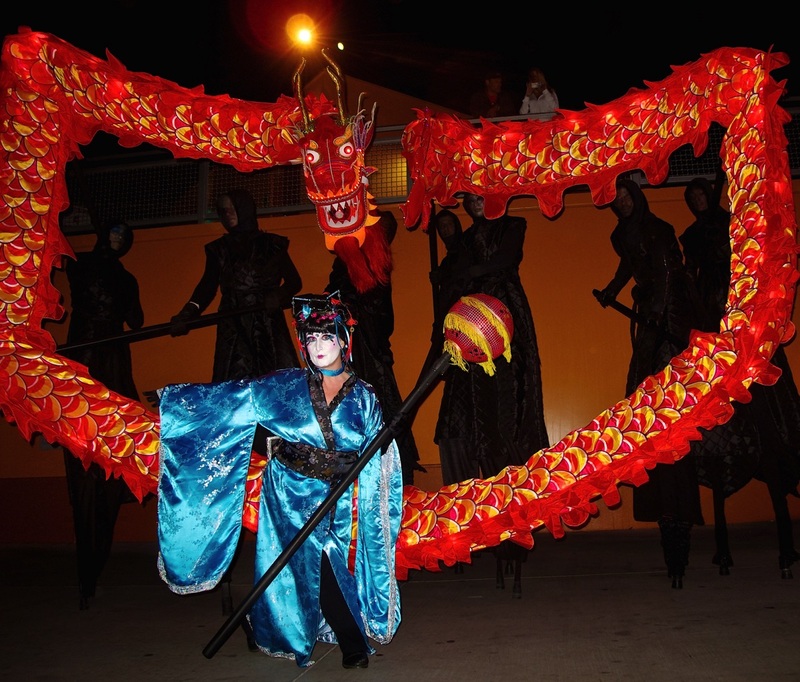 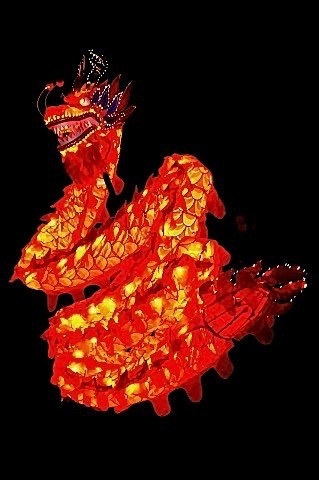 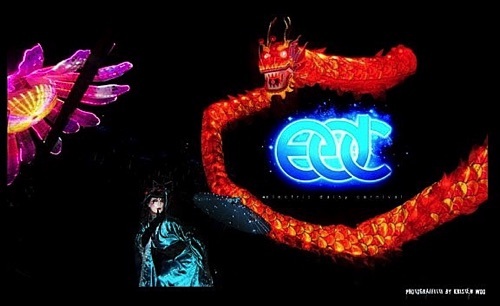 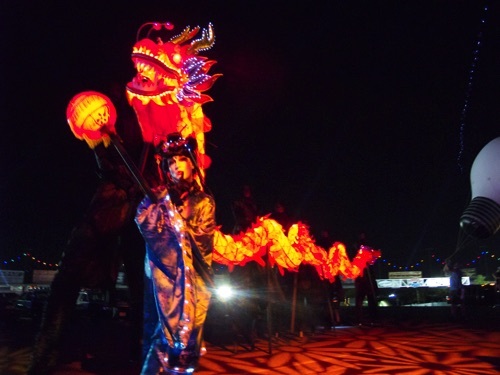 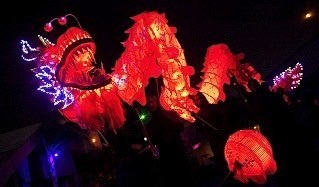 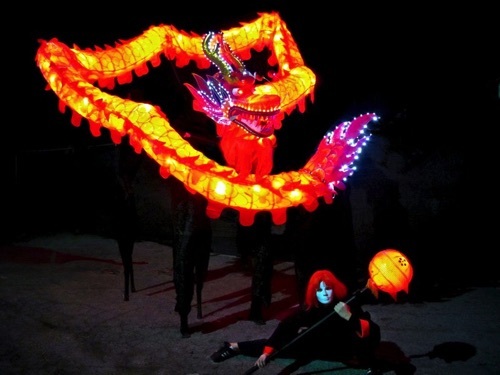 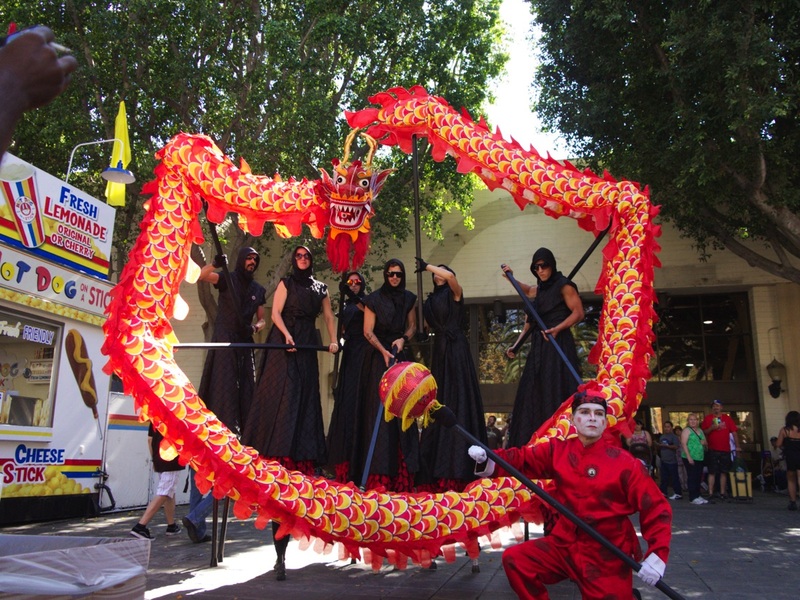 Our LED Dragon puppet is 42’ in length and is operated by 7 Stilters (3' Stilts) and 1 ground lead with the LED Pearl. 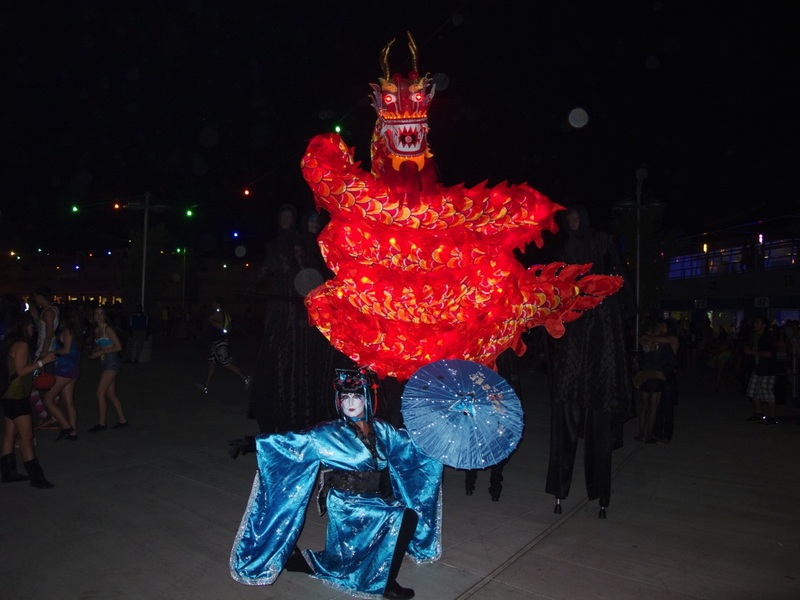 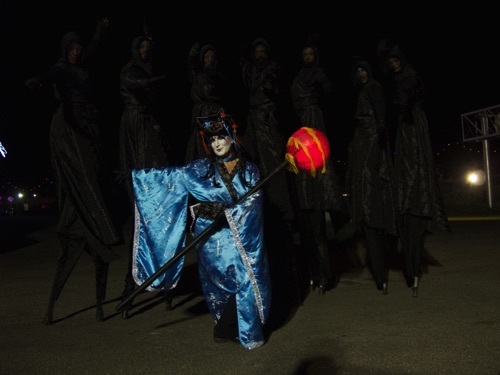 As strolling entertainment it hovers over the crowd as tall as 16'-20' and we have beautiful Dragon choreography that works great for crowds in the round or as a stage performance. 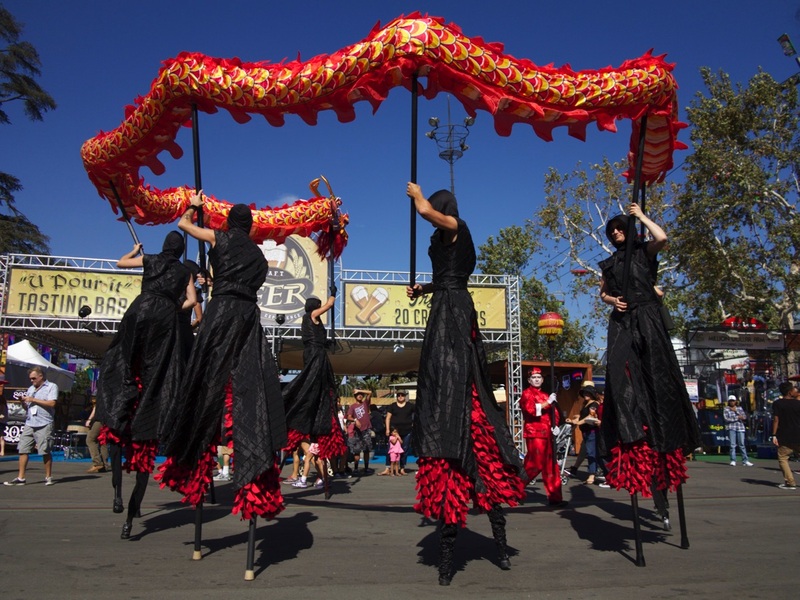 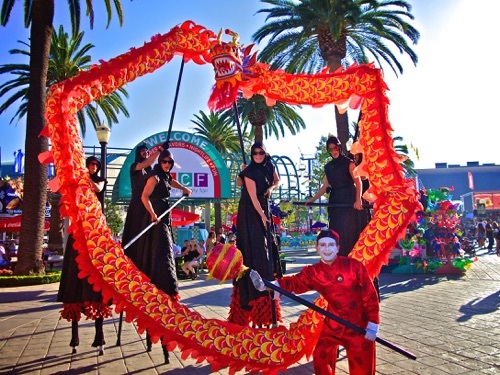 We are the only company in North America who is doing the Chinese Dragon on 3’ Stilts!